Highlights from the latest update of Cedigaz’ Worldwide UGS Database. The capacity currently under construction is limited. At worldwide level, there are 48 storage projects under construction adding 25 bcm of working capacity. This includes only 15 new storage sites (12 bcm) and 33 expansions (13 bcm). Again, this is lower than last year’s report (58 projects adding 36 bcm of working capacity) and previous ones. This is partly due to the commissioning of storage facilities in 2016, but also to cancellations of projects. Most of the projects under construction will be completed by 2020/25. All regions, but Central and South America, participate in the additions to storage capacity currently under construction. It is worth noting that Europe ranks first, but capacity under construction is concentrated in Italy, where the storage regulation is much more favorable than in other European countries. The CIS ranks second with expansions and new facilities built in Russia. The Middle East and Asia-Oceania account for 23% and 18% of the world additions. The shift of storage investment to new emerging and growing gas consuming countries started at the beginning of the 2010s and is expected to dominate the next 20 years. The additions to withdrawal capacity are dominated by Europe reflecting the focus towards highly flexible storage in the region. 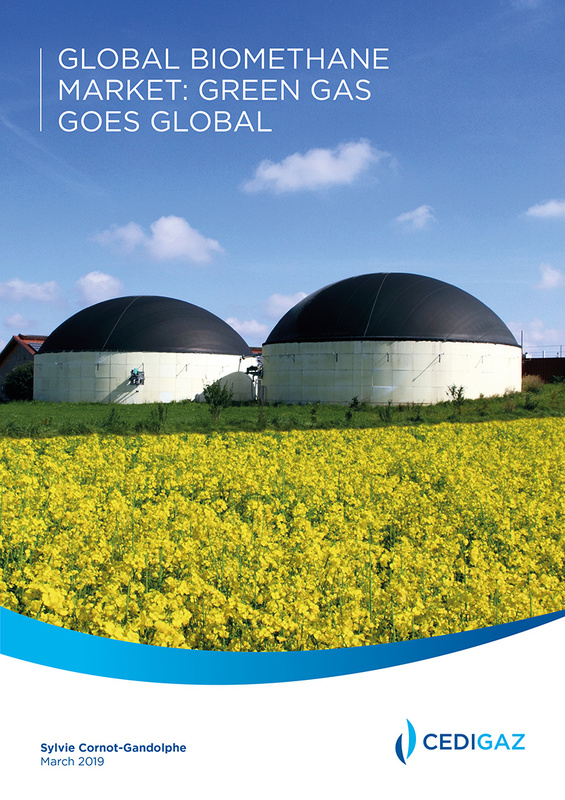 CEDIGAZ, has released today the sixth edition of its reference report on Underground Gas Storage. This updated edition entitled “The Underground Gas Storage & LNG Storage Market in the World 2015-2035” includes for the first time the coverage of LNG storage activity worldwide. The report includes detailed analyses of the latest developments and trends in the storage industry, CEDIGAZ’s Outlook to 2035 at regional and global levels, and extensive country analyses with complete datasets including current, under construction and planned UGS and LNG facilities for more 49 countries. Global UGS capacity is expected to increase from 413 bcm in 2015 to between 547 and 640 bcm in 2035. This wide range reflects the uncertainties surrounding the evolution of global gas markets plus the uncertainties specific to the gas storage business, such as challenging geology or the competition from other sources of flexibility. New storage markets, Asia-Oceania, the Middle East, and potentially Central and South America are expected to drive the growth. Conversely, the growth in working capacity should be limited in mature markets, and could even be negative in the EU.